Life Down Our Lane: Time Flies! My mom has always told me that once I had kids, time would just fly by. I believed her....but didn't fully grasp what she meant until this week. It seems like yesterday that I was bringing home my sweet babies from the hospital. How could it already be 5 and 3 years later. 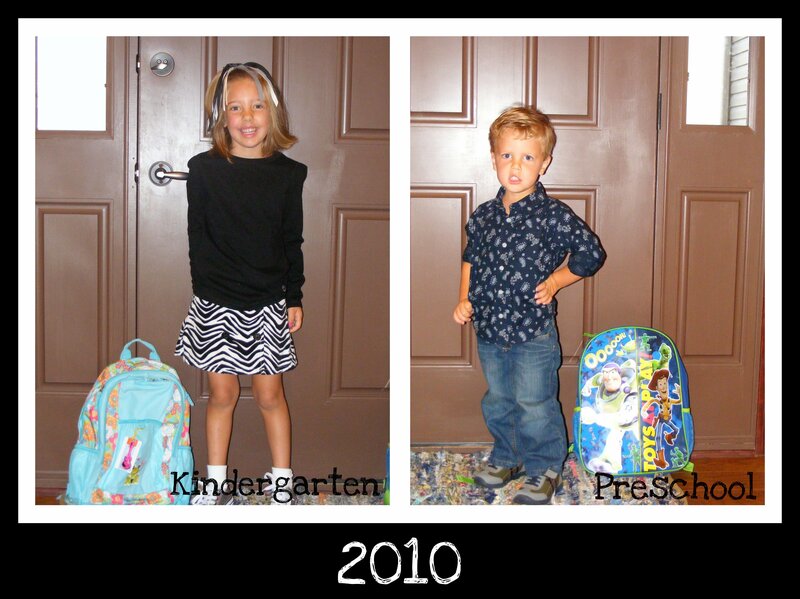 How is it that my sweet "babies" are now in Kindergarten and Preschool? However.....our morning didn't go exactly as planned. 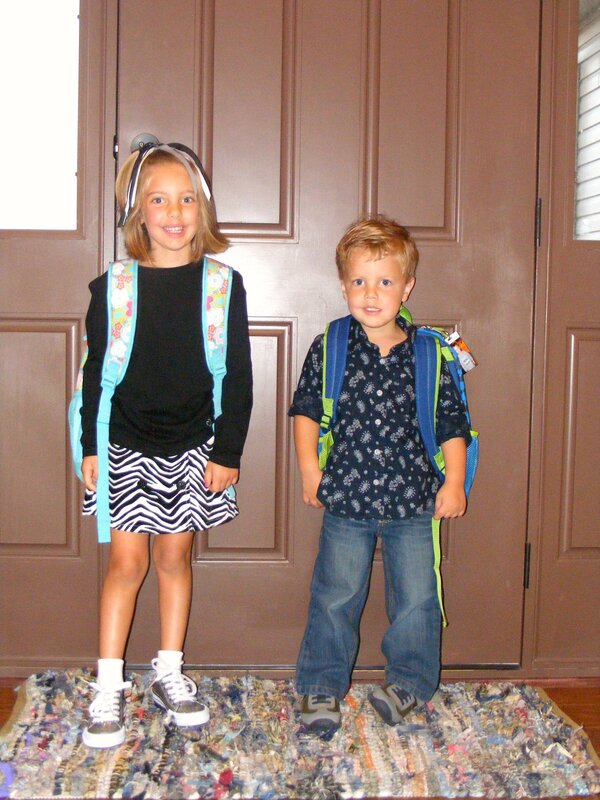 After I took their annual school picture by the front door....Gauge proceed to get sick and start puking! Yep that's right......15 minutes before we were to head out the door. To say that I freaked out is an understatement. I was a big ball of emotions as it was, and this was just the icing on the cake. I quickly called my Mother-in-law (she lives in walking distance) to see if she could come sit with Gauge while I took Grace to her first day of Kindergarten. Thankfully she was able to come and do that. 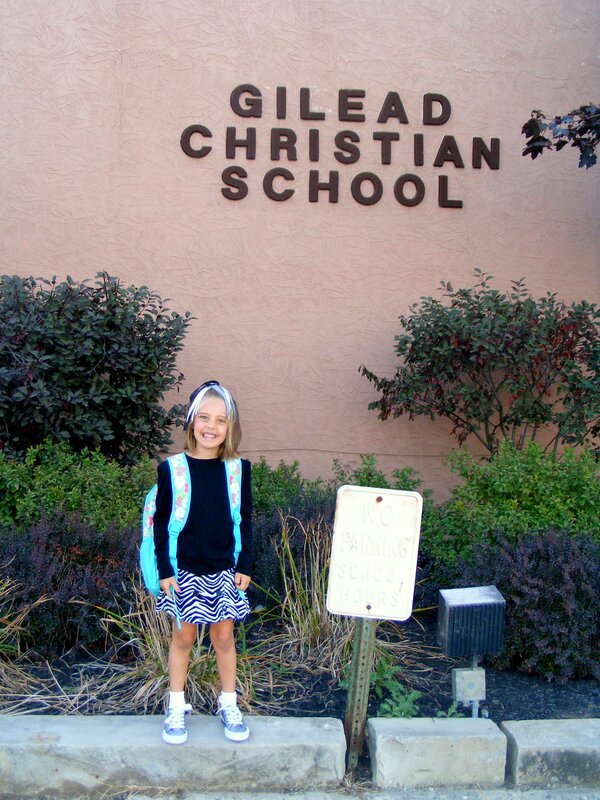 I felt bad that the excitement of Grace's first day was tainted by the drama of having a sick brother at home. On the car ride in, I tried to be cheerful and encouraging. She was so excited to go see her friends and meet her teacher! Here is my beautiful girl with her new teacher and sitting at her table. Thankfully Gauge's stomach bug was only about 12 hours long. I hurried up and washed the outfit he was supposed to wear to school. I was bound and determined to get a picture of him in front of his preschool.....and "pretend" it was the "first" (rather than 2nd) day of preschool. 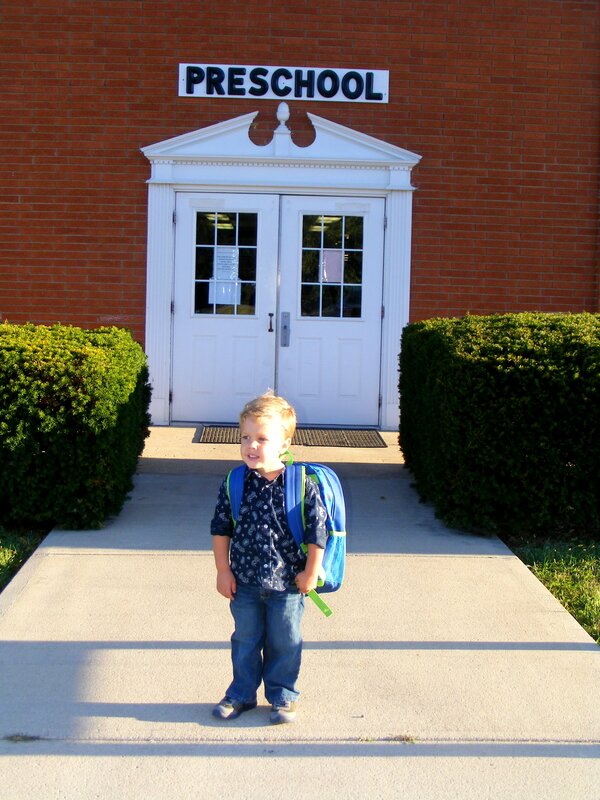 So this morning, off he went to "Big Boy School." Check out this little hunk!! Gauge has been going to daycare at our school from the time he was 6 weeks old. It's like an old hat to him....he's a seasoned pro. So as Mommy delivered him to his new preschool room...off he trotted like it was just any other day. He waved bye to me and said "Love ya Mom!" Gauge says "Mommy, do I have school tomorrow?" Me: "Yep, you sure do." Gauge: "Do I go to Preschool again tomorrow?" I'm thinking this is going to be an awesome year!! !